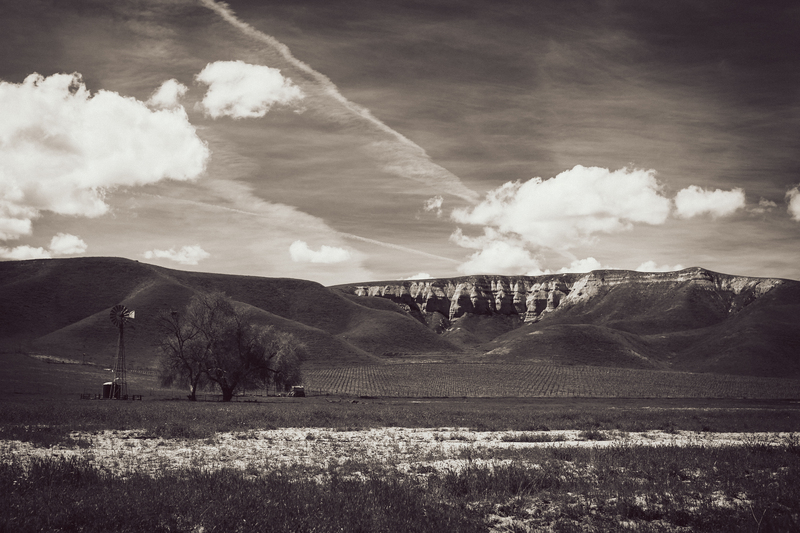 In 2007 we embarked on a new venture for the ranch, winemaking. At the encouragement of close family members (Chris and Piper Underwood) we decided to put together our own label. Originally under the Shell Creek Vineyards moniker we started producing small lot, old vine Petite Sirah with the help of a wonderfully talented winemaker, Greg Stokes. 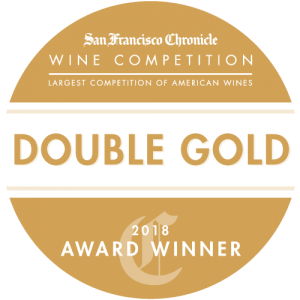 Over the last 7 vintages and 10 years we have received several distinguished awards including a Double Gold at the San Francisco Chronicle Competition for our 2009 vintage. In 2017 we decided to harvest a small amount of Old Vine Chenin Blanc and Valdiguié. We are making a clean, crisp, and 100% Chenin Blanc as well as a Rosé of Valdiguié. Along with these changes we decided to update the wine label and name to Avenales Ranch. 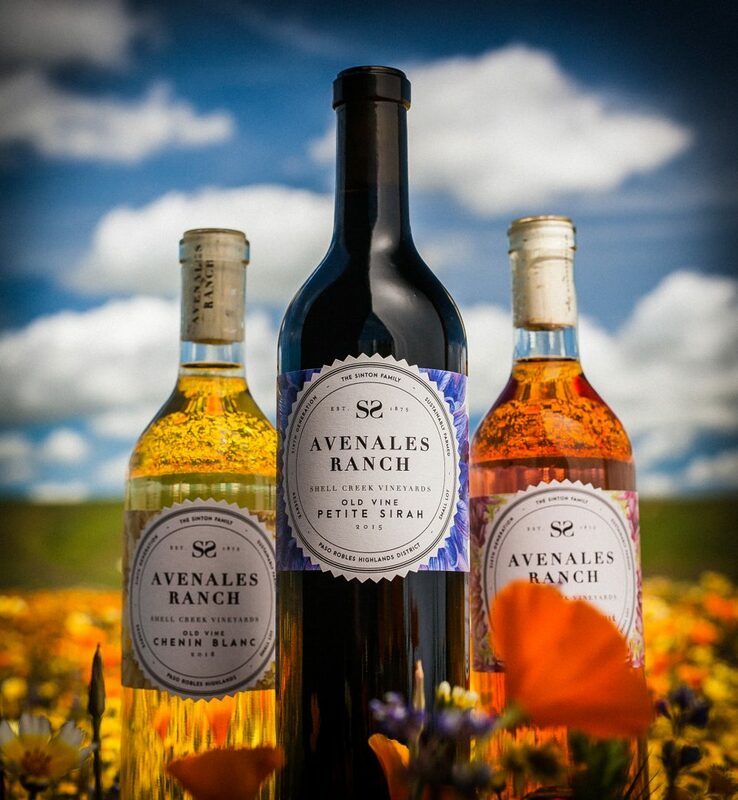 When designing our label for the Avenales Ranch Wine we wanted to incorporate everything that we believe in and what the ranch means to us as a family. The label highlights the foundations of our wine and land; Sustainable Farming, Sixth Generation, Small Lot, Old Vine, Paso Robles Highlands, established in 1875, our cattle brand, the vineyard that it is sourced from, and of course the family name. Each label also has a different flower that can be found on the ranch; Lupine on the Petite Sirah, Buttercups on the Chenin Blanc, and Owl’s Clover on the Rosé of Valdiguié. These flowers surround a seal which can be found on our cattle weigh scales dating back to the early 1900’s, given by the county to show that the scales have been tested and are approved. 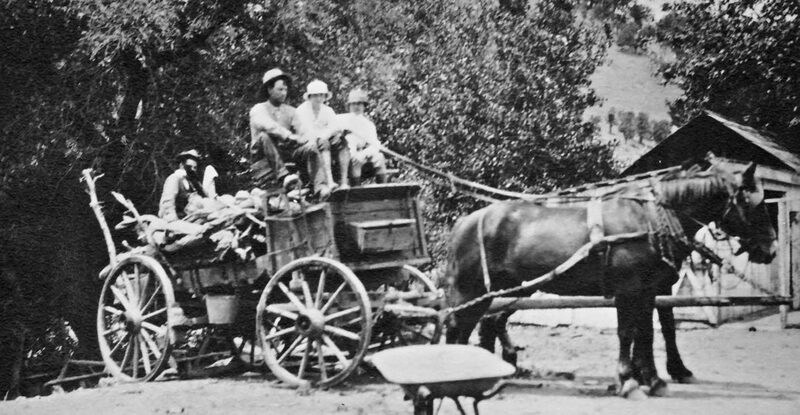 Since 1875 the Sinton (once Sinsheimer) family has been ranching the rolling, oak filled hills and cultivating the valleys of San Luis Obispo County. The original patriarch, Bernard Sinton, collected over 72 homesteads to put together what is now the Avenales Ranch in the Pozo valley. Avenales means the place where wild oats grow. In 1906 the family acquired the 6,000+ acre Canyon Ranch. James and Norma Sinton built their home on the Canyon Ranch in 1940. In 1972, we planted our first grape vines and formally started Shell Creek Vineyards. The name of the now 120 acre vineyard comes from a seasonal creek that runs through the property, carrying small pieces of fossilized shells that are found farther upstream on the ranch. Jim started the vineyard with his nephew, Tom Sinton (who now owns his own vineyard and winery called Starfield), in order to diversify from the cattle ranch. Jim and Norma’s son, Steve and his wife Jane moved back to the ranch in 1978. Jane oversaw the vineyard for over 30 years. Steve’s sisters, Patricia and Gail and their husbands, Hayes and Don (respectively), are also actively involved in the family business. Steve and Jane’s son, Daniel, and his wife, Megan, moved to the ranch in 2013 to carry on the family tradition of managing the cattle and vineyards, while their daughter, Julie and her husband, Brian Pruniski, help with marketing and financial advice. For over 140 years the Sinton family has run the Avenales and Canyon Ranch with the dedication of preserving and protecting the land and the plants and animals that call it home. Focused on sustainably running cattle for a grassfed beef program forever, we recently placed a conservation easement on the property with the California Rangeland Trust which will protect the land in perpetuity. Nestled in the rolling, oak laden hills just 20 miles from Paso Robles is SHELL CREEK VINEYARDS. We are sixth generation Californians and take pride in the fact that the family continues to operate both the ranch and the vineyard. Varietals planted include Petite Sirah, the hallmark of the vineyard, Cabernet Sauvignon, Chenin Blanc and Valdiguié. The vineyard is planted on a gentle hillside beneath limestone cliffs. The terroir is alluvium overlaying a layer of marine limestone, giving the soil a unique character. The vineyard name, SHELL CREEK is derived from layers of marine fossils that are in the hillsides as well as the seasonal creek that runs the length of the canyon where the vineyard is located. Being in the Central Coast area, the days are warm while the nights are cooled by the sea breezes—-a perfect combination for award winning wine, which Shell Creek Vineyards grapes have consistently produced since 1977. In 1977 we became aware of the possibilities for this grape when wineries all across California won gold medals at local, regional and statewide wine competitions. Our 1989 grapes became the sole source of Benziger Family Winery’s incredible win at the World Wine Competition in Paris with a 98 score. We continue to see our partner wineries win gold year after year. Numerous wineries have vineyard designated and received gold medals from Shell Creek Vineyards Petite Sirah grapes, including Imagery Winery, Benziger Family Winery, Caymus, Broc Cellars, Meridian Winery, Castoro Vineyards, Bogle Winery, Bending Branch, Hitching Post, David Bruce Winery, Au Bon Climat, Hitching Post, Hope Family Wines, Nelle, Fableist, Field Recordings, Ursa Vineyards, Sextant and Thacher. Shell Creek Vineyards has been certified sustainable for several years, most recently securing the coveted SIP (Sustainability in Practice) certification. Our family has consistently sought to improve our vineyards to achieve high quality, not only for the grapes, but the environment. We help control rodents by placing owl boxes around our vineyard. Owls also roost in our planted trees and in our barns. Hawks and eagles are found on our ranch, which also helps with rodent control. Even the coyotes help control those pests. Many of the things we do are for quality, such as shoot thinning, pruning to limit crop size, and installing spread trellises to balance the grapevine canopy with the quantity of fruit. Other measures, such as providing wildlife corridors, are simply the right thing to do. This land has been our responsibility for generations, and sustainability is key to our successful past as much as it is to our future.